Kitchen Kabaret Audio-Animatronics show in The Land at Epcot; from October 1, 1982, until January 3, 1994. 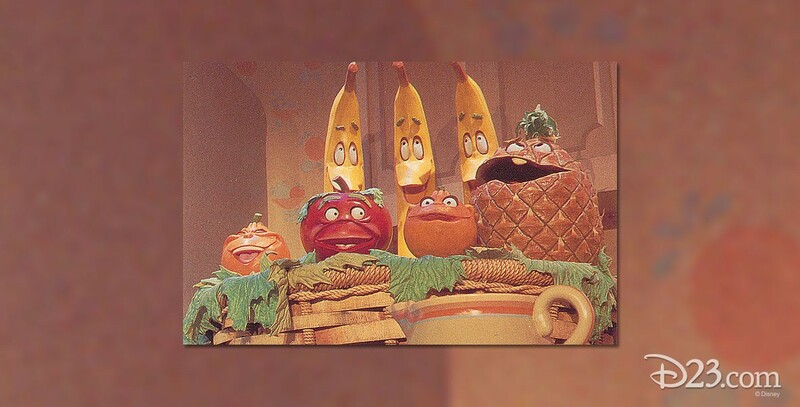 The show taught nutrition in an entertaining way by having representatives of all of the food groups sing about their value. The characters were led by Bonnie Appetit, and included Mr. Hamm and Mr. Eggz, the Cereal Sisters, and the Colander Combo. There were corny lyrics to such songs as “Veggie Veggie Fruit Fruit.” The show was superseded by Food Rocks.